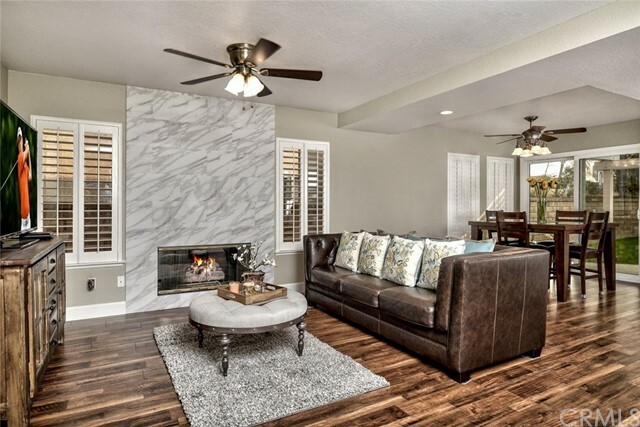 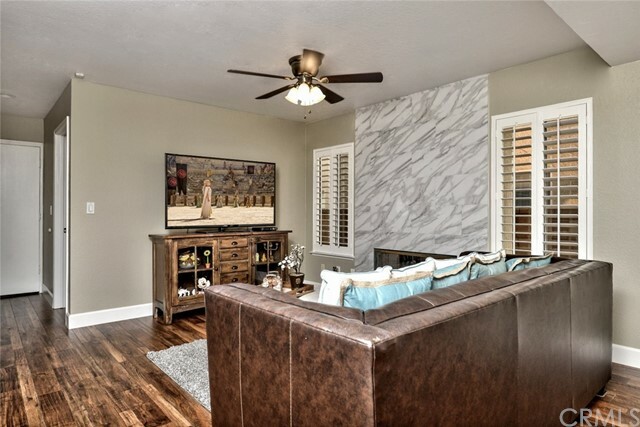 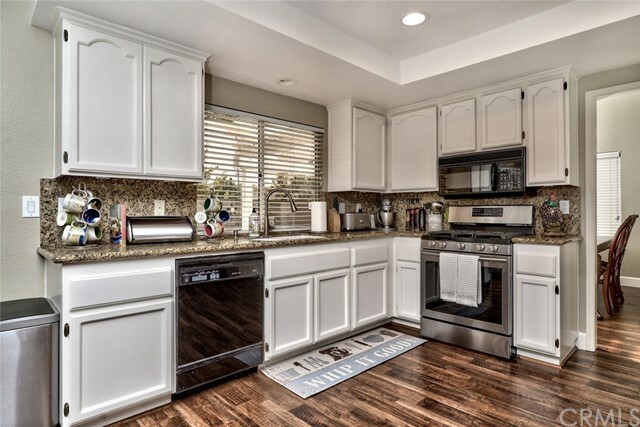 Welcome Home ~ This beautiful, tranquil Yorba Linda Two Story Home with one bedroom on main level with attached bathroom, perfect for guest or next generation living. 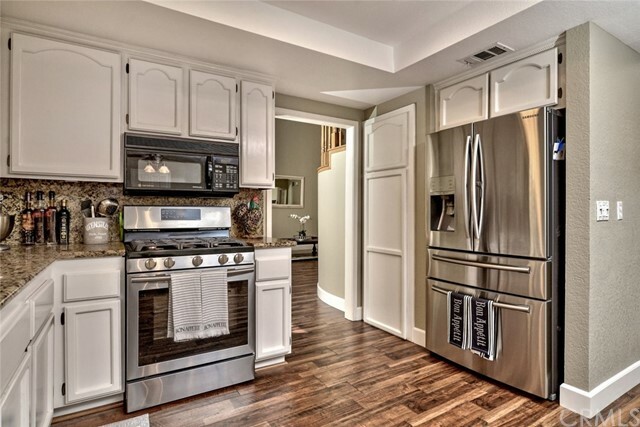 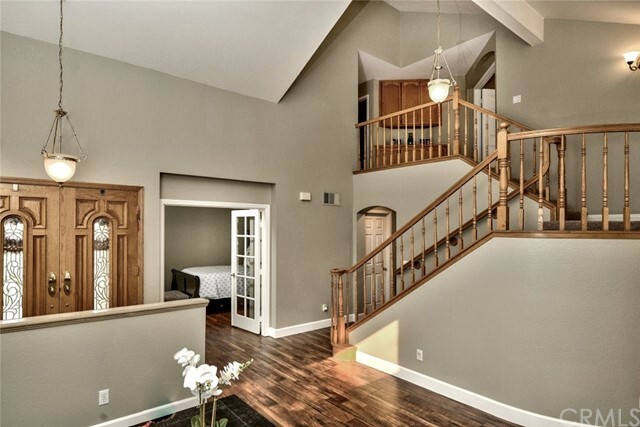 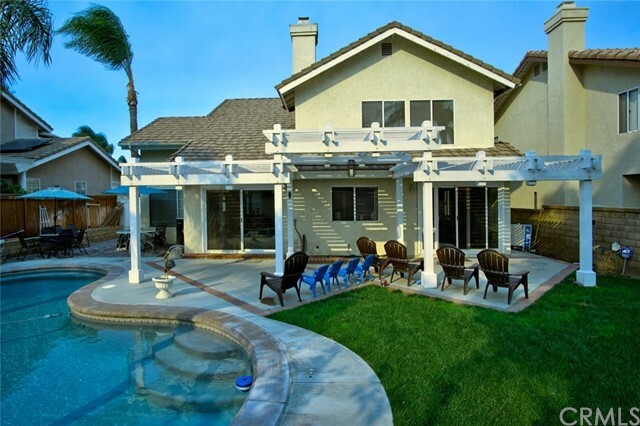 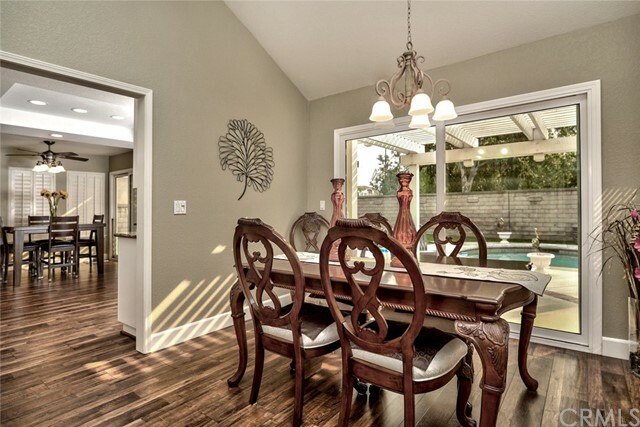 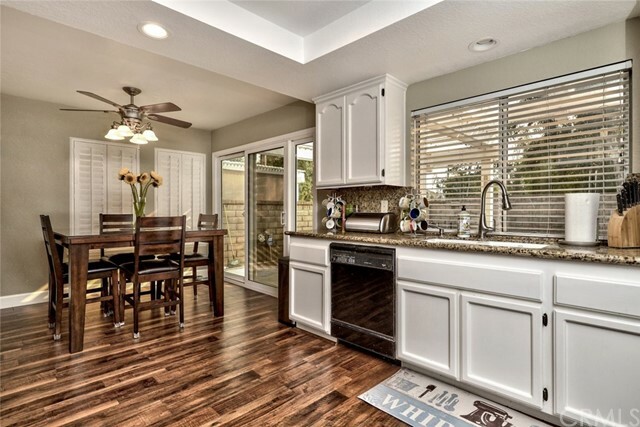 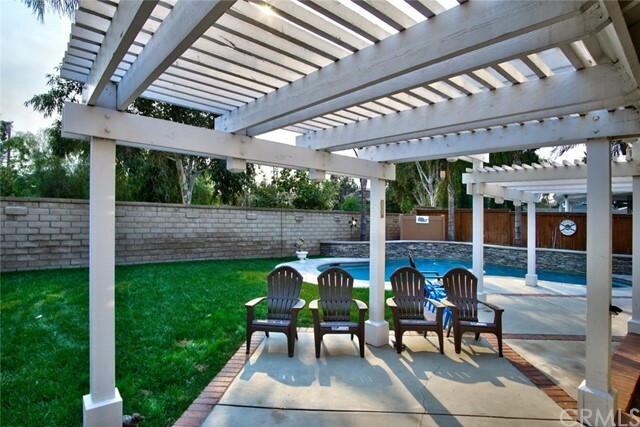 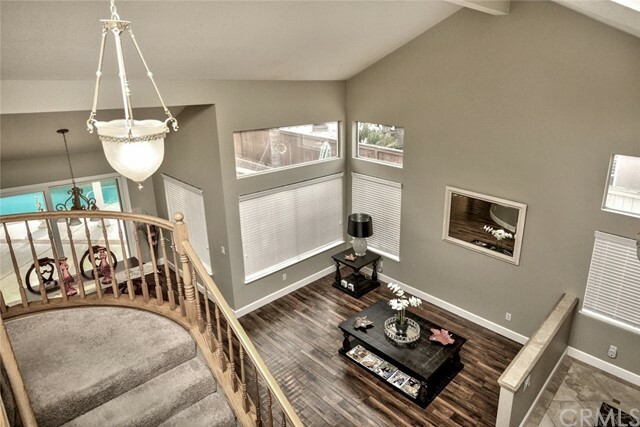 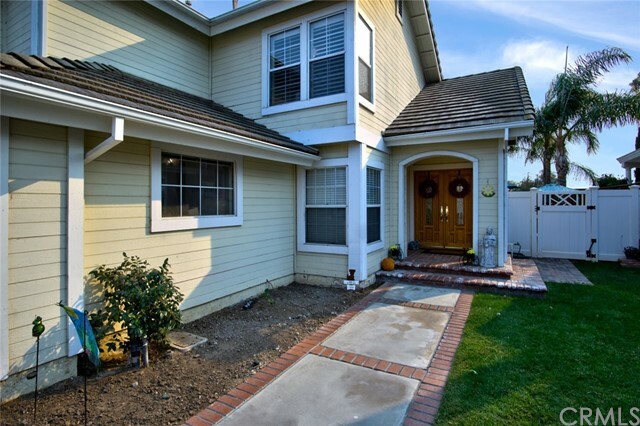 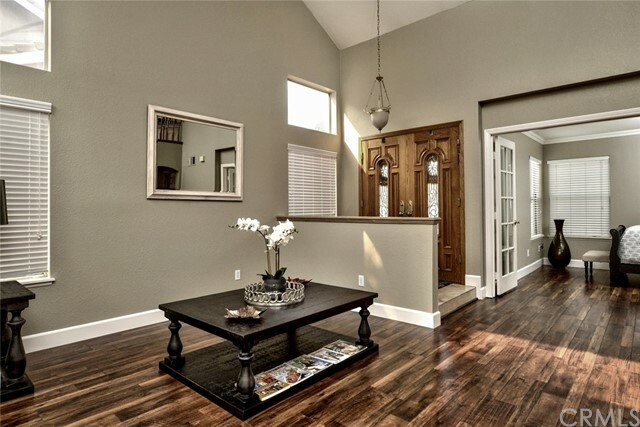 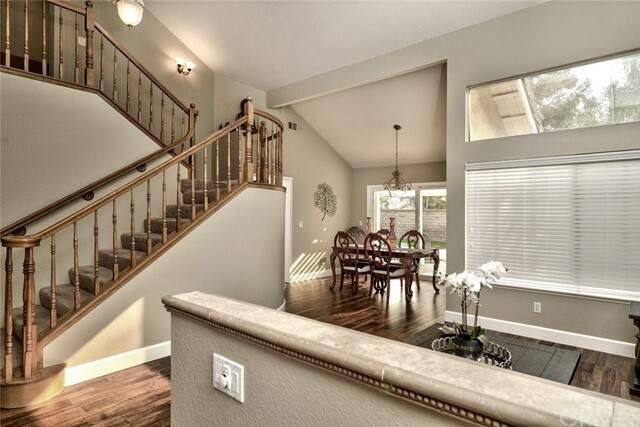 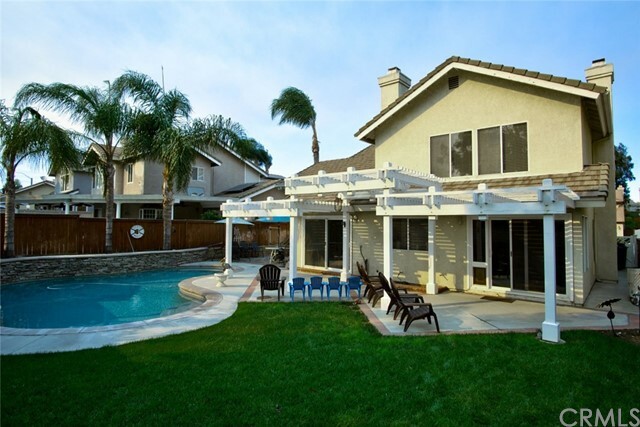 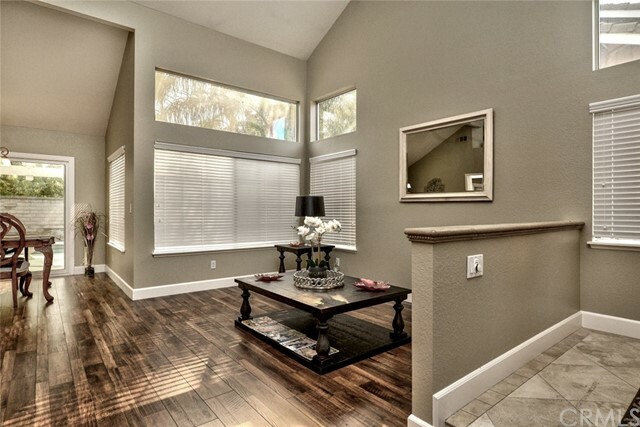 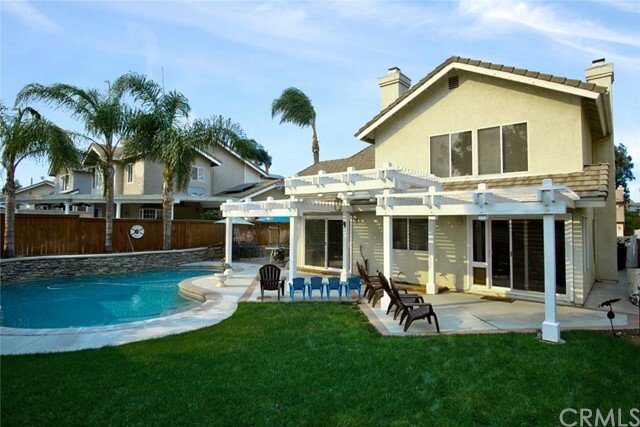 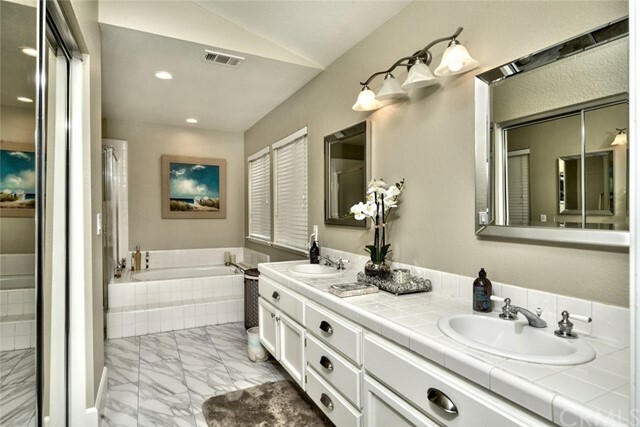 This is one of those rare, upgraded Terra Linda Estate Homes! 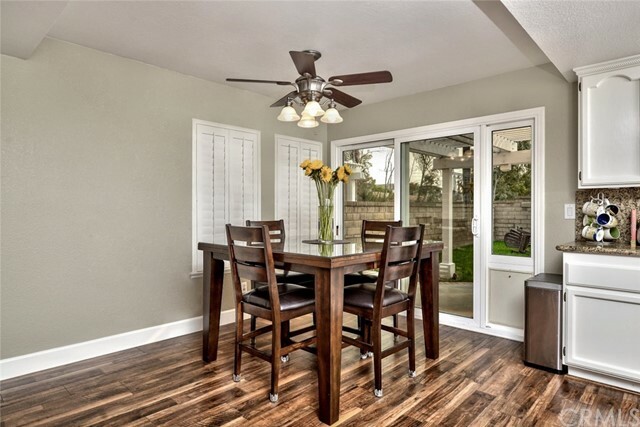 Beautiful wood flooring through the down stairs & upstairs, formal dining area with perfect view into your private backyard. 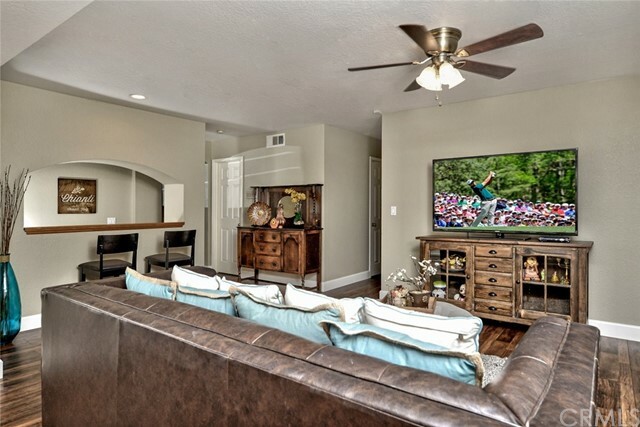 Family room features wet bar area, beautiful fireplace, open to eat in kitchen, featuring granite counter-tops and back splash, recessed lighting, crown molding, shutters and stainless-steel appliances. 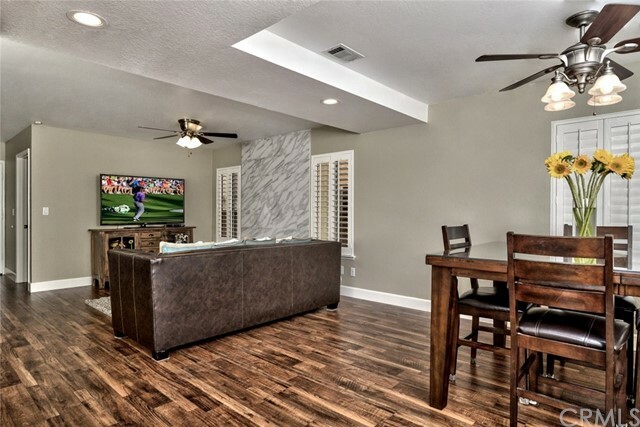 Large sliding glass door leads you to your private covered patio area over-viewing your pebble bottom saltwater pool ~ Open riser staircase leads you upstairs to your double door entry master suite, with high ceilings, ceiling fan and private fireplace. 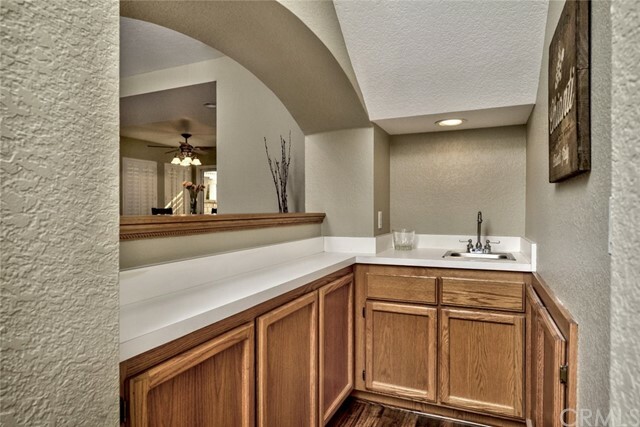 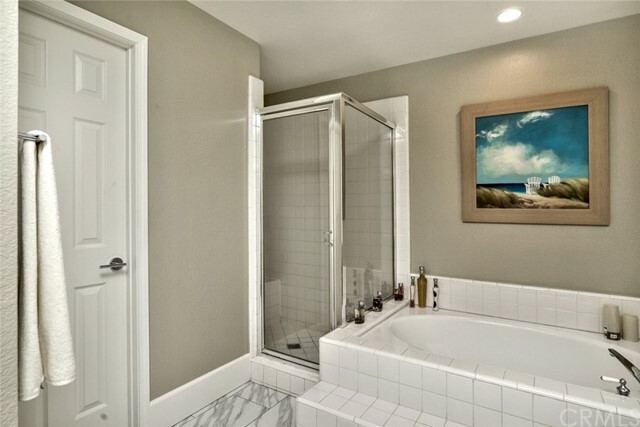 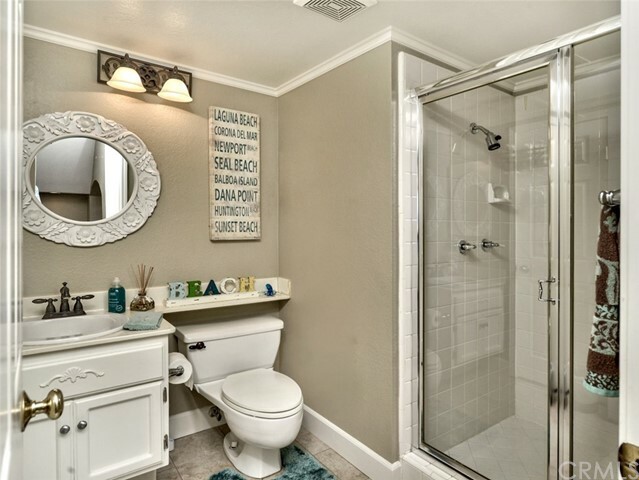 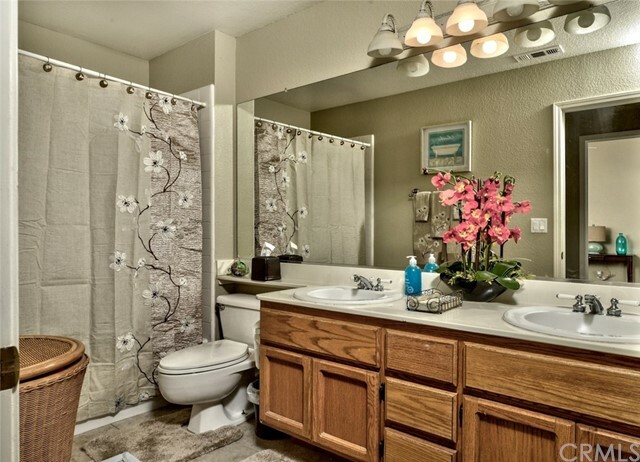 Attached master bathroom features double sinks, marble flooring, soaking tub and walk-in-shower. 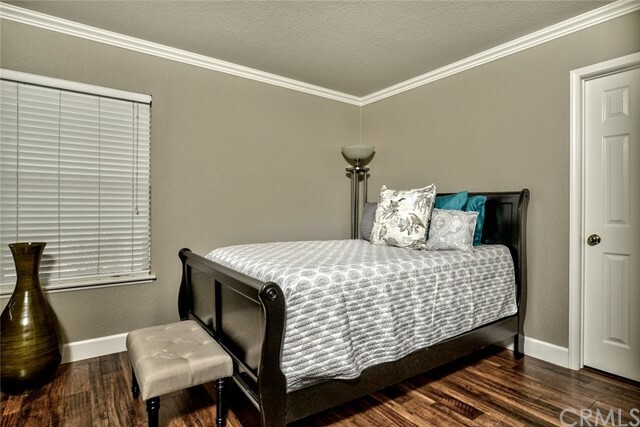 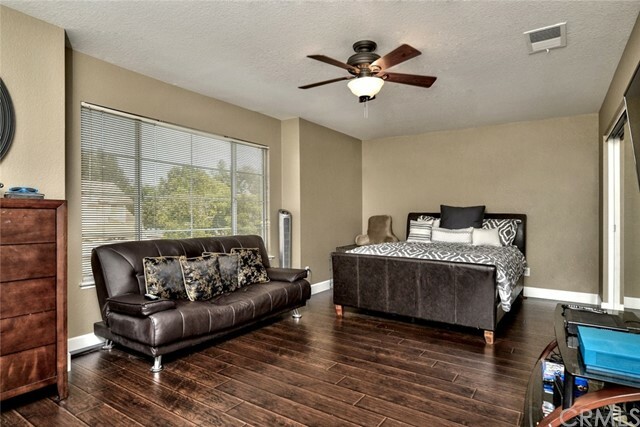 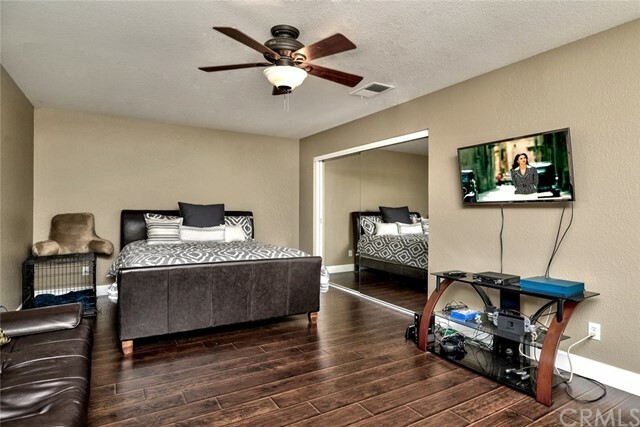 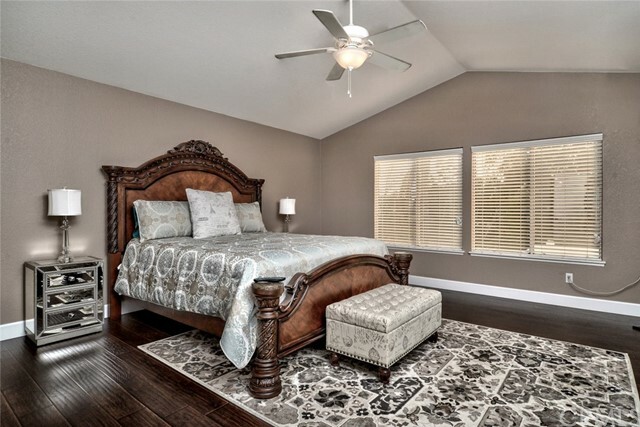 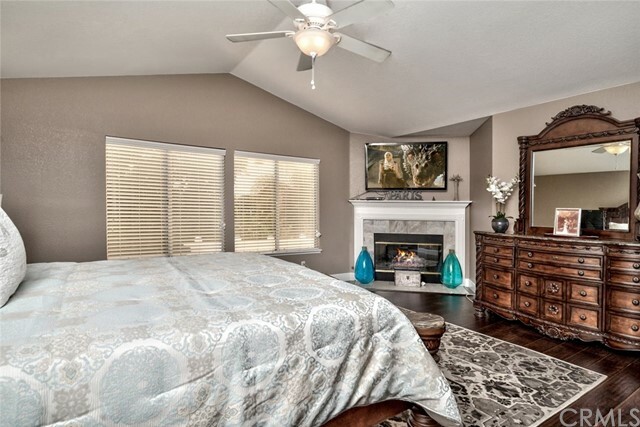 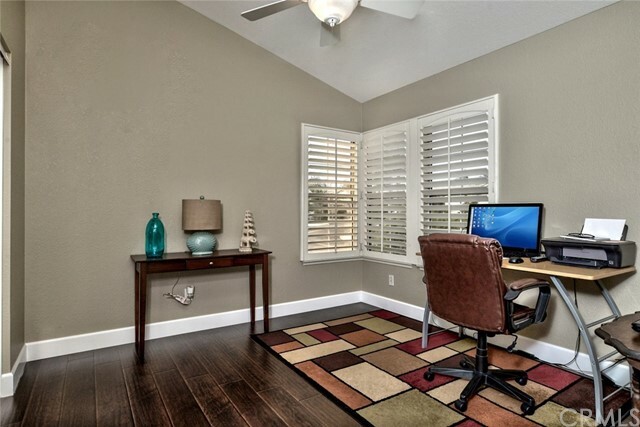 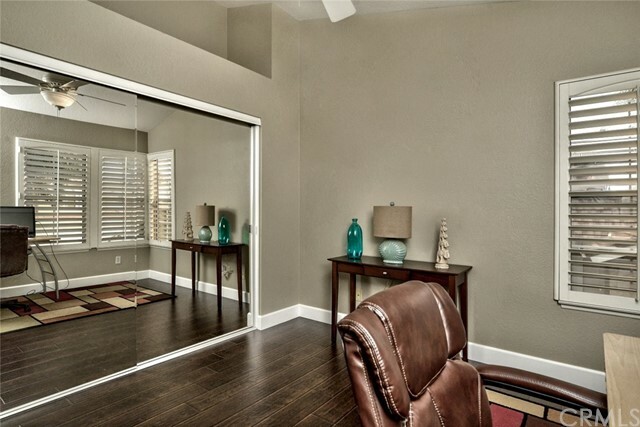 Spacious secondary bedrooms boast mirrored wardrobe closet doors, ceiling fan, shutters and wood flooring. 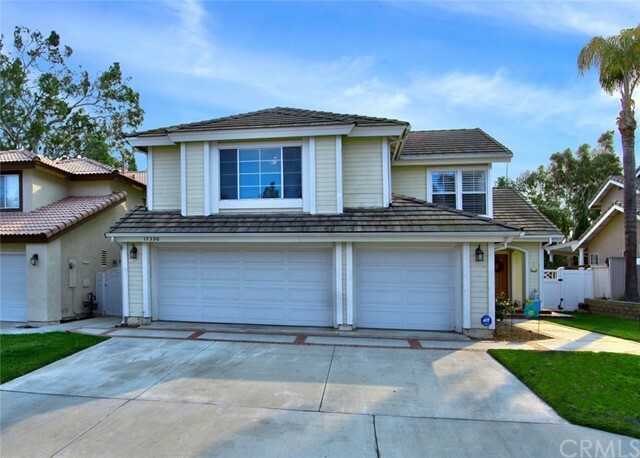 3 Car attached garage with storage. 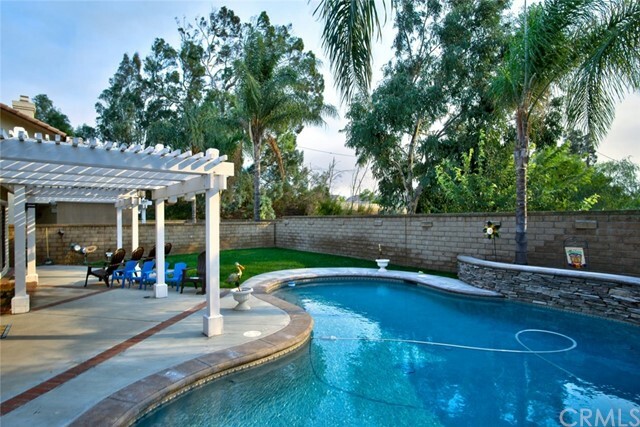 Great school district!